With its wildlife, high mountains, dense forests and variety of lakes and rivers, Bulgaria is an exciting destination for a walking holiday. Join us on this great value, walking-themed tour as we explore the magnificent natural, cultural and historical landmarks of this fascinating country. 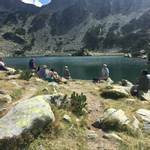 After breakfast we can enjoy our first day hiking in the beautiful Pirin mountain range. We commence our walk at a mountain hut at 2000m located beneath the imposing Mount Vihren – the highest peak of the range. 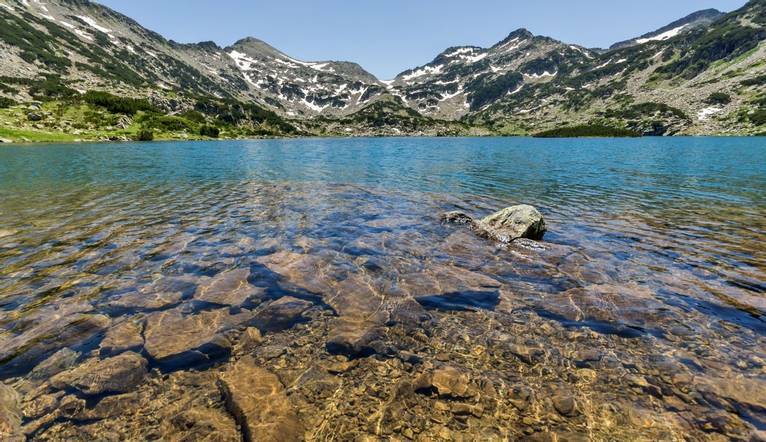 Our hike will take us past the gorgeous Bunderitsa Lakes, just some of the hundreds of glacial lakes in the area, until we reach the Todorka saddle from where you can marvel at the panoramic views. 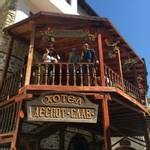 After our walk, we can enjoy a tour of charming Bansko and learn more about its history, architecture and traditions. Dinner is at a local restaurant. Overnight Bansko. 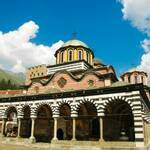 Today we will visit Rila – the other mountain range in Bulgaria. We will start with a morning transfer through the lush forests of the "Water mountain", where we will visit the world famous Rila monastery – a UNESCO listed site. After a picnic lunch, we will hike through the Southwest and descent to the village of Kartala, before we return back to our hotel. Overnight Bansko. We have a well-earned break from walking today and we can enjoy an included visit the charming village of Melnik. Set in a picturesque valley, with good sandy soil and with 350 sunny days per year it’s no wonder that this region is home to the world famous Bulgarian wine cellars! After an included wine tasting we can enjoy lunch in a local restaurant before heading back to our hotel for the rest of the afternoon at leisure. Overnight Bansko. After breakfast, we transfer to the village of Dolen, an amazing example of an ancient Bulgarian settlement often referred to as an ‘open air museum’. After a picnic lunch we set off on our hike through lush meadows and forests down to Trigrad, visiting the famous Trigrad gorge and the ‘Devil’s throat’ cave the largest underground waterfall in the Balkan Peninsula. 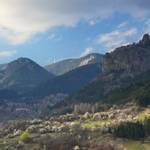 Later, we continue onto the town of Smolyan nestled in the heart of the Rhodope Mountains. Overnight Smolyan. This morning we can enjoy a light hike to the ‘Canyon of the Waterfalls,’ hidden deep in the highest part of the Rhodope Mountains. After a picnic lunch, we visit the village of Shiroka Luka, an amazing perfectly preserved architectural reserve. Overnight Smolyan. 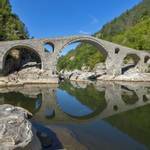 Today we can enjoy one of the natural highlights of Bulgaria known as the Wonderful Bridges. 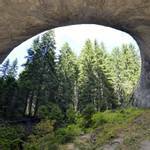 These amazing rock formations are shaped by water over millions of years and we can enjoy a short walk to marvel at these amazing bridges. After lunch in a local restaurant we make our way to the Medieval Asen’s Fortress with its beautiful 12th Century church and Bachkovo monastery, the second largest in Bulgaria and home of some of the finest frescoes of Orthodox Christianity. Later we transfer to Sofia, the capital of Bulgaria, and check into our centrally located hotel. Overnight Sofia. 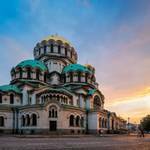 UK After breakfast, we can enjoy a short walking tour of Sofia city centre where you can see the main sites including Boyana Church and the Alexander Nevski Cathedral. This afternoon, we transfer to the airport before our return flight to the UK. With its beautiful scenery and welcoming people, Bulgaria offers perfect walking conditions. This Eastern European country is also known as the cradle to some of the most ancient civilisations in the world. Our eight-day walking tour encompasses the magnificent natural and historical landmarks of Bulgaria, and the secrets of the traditional local culture and cuisine. Excellent holiday with a good combination of challenging walks and seeing the country. For important information relating to walking holidays see Medical Conditions on page 211. The transfer time from Sofia Airport to our hotel takes approximately 3 hours, depending on weather and traffic. Five guided walks are included in the programme. Your walking guide will advise you in resort of the daily programme. The walking programme is graded as Medium and you can expect to walk between 6 to 12km per day, with some ascents/descents, rough underfoot terrain and high altitudes involved.